Punctuality and timing maintenance are critical to an employee’s productivity and performance. Employees often indulge in the unprofessional behavior of ignoring the required timing of their jobs. If the employer does not take any corrective action, this not only affects the employee’s output but also paves the way for other employees to follow the suit. Consequently, the company suffers in terms of profitability and performance. Therefore, the companies try to maintain a culture of punctuality and time following. 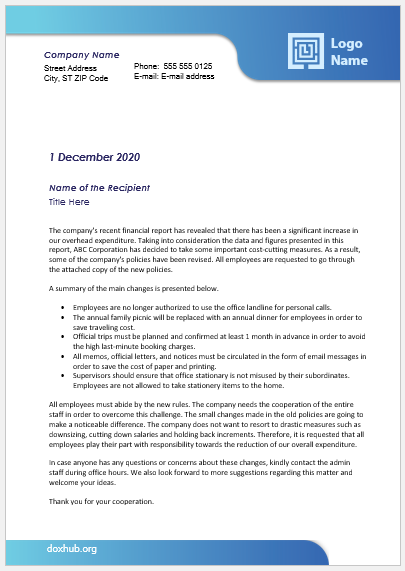 For this purpose, often, a document is issued by the Human Resource department to inform and warn the employees about the requirements of the company in terms of timing. 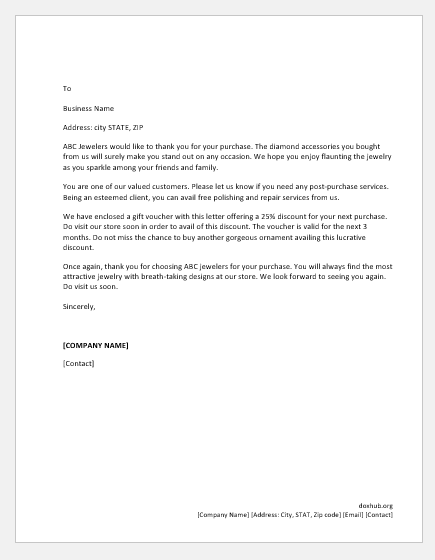 To inform about the required timing and hours. To encourage a culture of maintaining timing. To inform the employees about the importance of following the timing of their jobs if otherwise is being observed in the company. 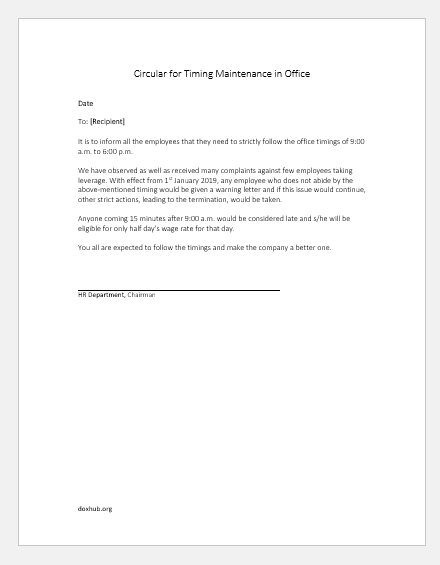 To warn the employees about the consequences in the case of non-following of the timing. To generalize the warning instead of giving a warning letter, to the individual/individuals who are being the trouble-makers, to avoid demotivation. 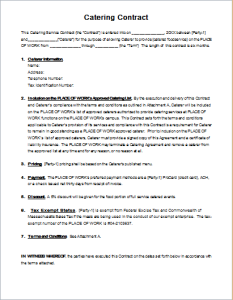 When this document is circulated in the whole organization, the employees understand the importance of timing and what results they have to face in the case of failure in abiding by the timing. The employees, therefore, put an effort into following the proper timing required by the company. Consequently, the company’s overall culture, productivity, performance and profitability improves. 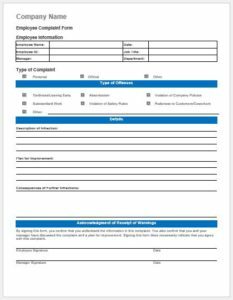 These circulars are kept in the company records so that if an action needs to be taken against an employee, the evidence of informing or warning them is present. It is to inform all the employees that they need to strictly follow the office timings of 9:00 a.m. to 6:00 p.m.
We have observed as well as received many complaints against few employees taking leverage. 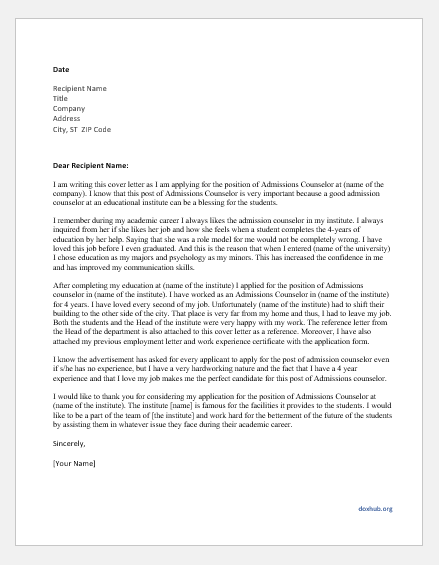 With effect from 1st January, 2019, any employee who does not abide by the above mentioned timing would be given a warning letter and if this issue would continue, other strict actions, leading to the termination, would be taken. Anyone coming 15 minutes after 9:00 a.m. would be considered late and s/he will be eligible for only half day’s wage rate for that day. 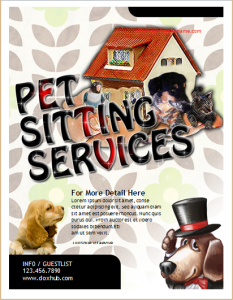 You all are expected to follow the timings and make the company a better one.